San Diego-based SIDUS Solutions is a manufacturer and an integrated systems provider of robust video surveillance systems. 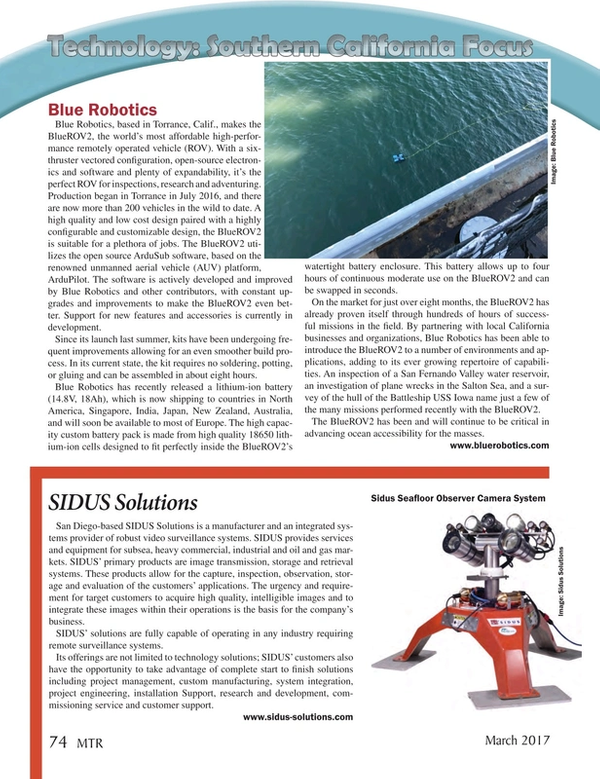 SIDUS provides services and equipment for subsea, heavy commercial, industrial and oil and gas markets. SIDUS’ primary products are image transmission, storage and retrieval systems. These products allow for the capture, inspection, observation, storage and evaluation of the customers’ applications. The urgency and requirement for target customers to acquire high quality, intelligible images and to integrate these images within their operations is the basis for the company’s business. SIDUS’ solutions are fully capable of operating in any industry requiring remote surveillance systems. Its offerings are not limited to technology solutions; SIDUS’ customers also have the opportunity to take advantage of complete start to finish solutions including project management, custom manufacturing, system integration, project engineering, installation Support, research and development, commissioning service and customer support.